Tasty mushroom gravy starts with fresh, flavorful mushrooms. 3 How Can I Make a Vegetable-Based Broth for Soup? Compared to its meatier cousins, vegetarian-friendly mushroom gravy gives you even more space to experiment with tweaks, such as cutting out gluten and subbing in the 'shrooms of your choice. Although the basic process of sauteing, reducing and thickening remains the same across virtually all mushroom gravy recipes, your choice of mushrooms, thickeners and seasonings allows you to put your own signature spin on the sauce. 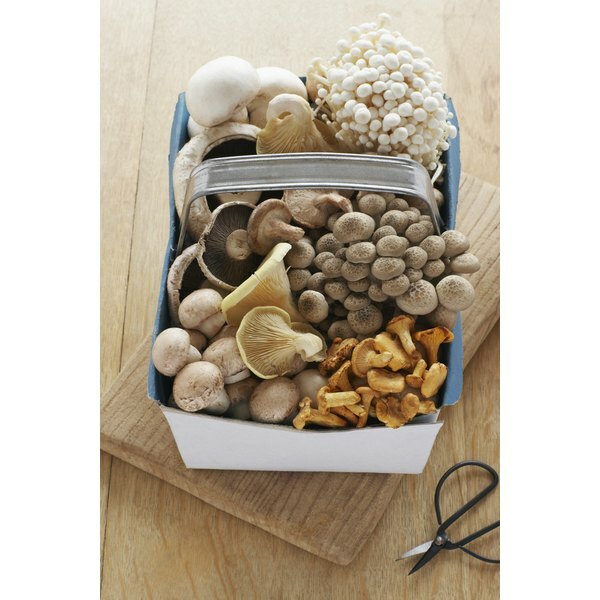 Rinse, stem and chop fresh mushrooms -- you can dice them or slice them lengthwise. Use white button mushrooms for a classic taste or any combination of oyster, porcini, cremini or shiitake mushrooms for a more complex flavor. Peel, clean and dice onions or garlic gloves -- about half an onion or a few cloves per pound of mushrooms -- and saute the all the veggies in butter or olive oil. Heat on medium until the mushrooms take on a golden brown hue and the onions or garlic soften. Add dry red wine -- roughly 1/2 cup per pound of mushrooms -- and stir occasionally. For an added kick, stir in a spoonful or so of balsamic vinegar or soy sauce. Let the liquids cook down, leaving a shallow layer of mushroom juice in the pan. Whisk a few spoonfuls of flour or cornstarch slurry -- a smooth mix of flour or cornstarch and cold water -- into the pan and allow it to cook until it bubbles and thickens. Mushroom gravy will have a slightly thinner consistency than meat-based gravies, but you can add thickener to create a more substantial texture. Season the gravy to taste, and stir. Parsley, salt, black pepper and thyme give you a rich, savory, classic flavor. For a warm flavor that rings up Thanksgiving memories, use sage. For a brighter, crisper, more daring taste, turn to tarragon or rosemary. Serve the gravy warm or allow it to cool and store it in the refrigerator. Know your mushrooms before you cook. Oyster mushrooms give the gravy a more subtle, delicate flavor while shiitakes lend an earthy taste. 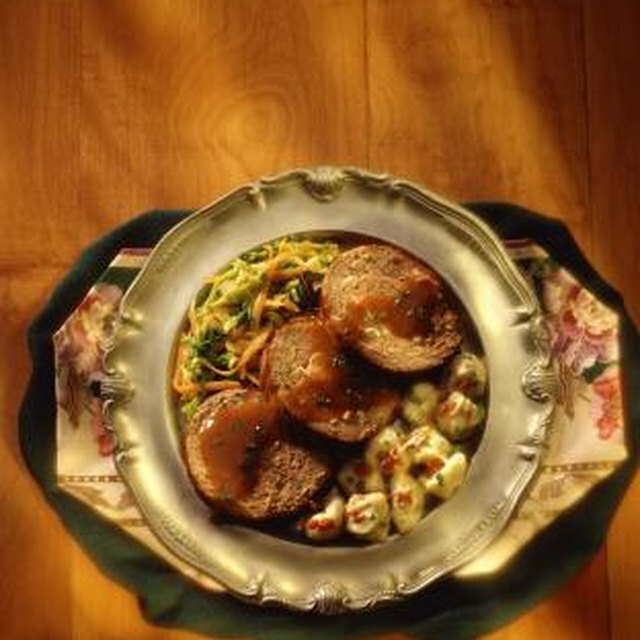 Crimino mushrooms -- or their grown-up counterparts, portobello mushrooms -- give your gravy a meatier, more intense edge. To cut down on gluten and give the gravy a more complex flavor, use cornstarch and vegetable stock as your slurry rather than flour and cold water. Although gluten content may vary, you can also use meat-based stocks in place of water for a saltier flavor. You can chill mushroom gravy in an airtight container for about a week after cooking. When reheating the sauce, you may have to add a bit of water to thin it out to the desired consistency. What Substitute Can Be Used to Replace Tomatoes in Lasagna?